Last month the first trailer for Tony Hawk’s Pro Skater 5 hit the web and while it certainly looked true to the franchise’s roots, it didn’t look much better than the games that had come before it, and fans weren’t happy. It seems that developer Robomodo may have taken fans’ reaction to the trailer to heart, as just two months out from the game’s release, the art style has changed. Those seeing the game at Gamescom are noticing a new cel-shaded tone, also apparent in a new batch of images released by publisher Activision to The Ride Channel. As a result of the new style, the game looks more cartoonish despite using the same general assets. Whether or not fans will embrace the design is still up in the air, as the general quality of the graphics doesn’t seem to have improved — the look isn’t necessarily better, it’s just different. Robomodo has its work cut out for it. While there have been far more than four other Tony Hawk-branded skateboarding games released, following up on four (arguably three) classic games isn’t an easy feat for any developer. 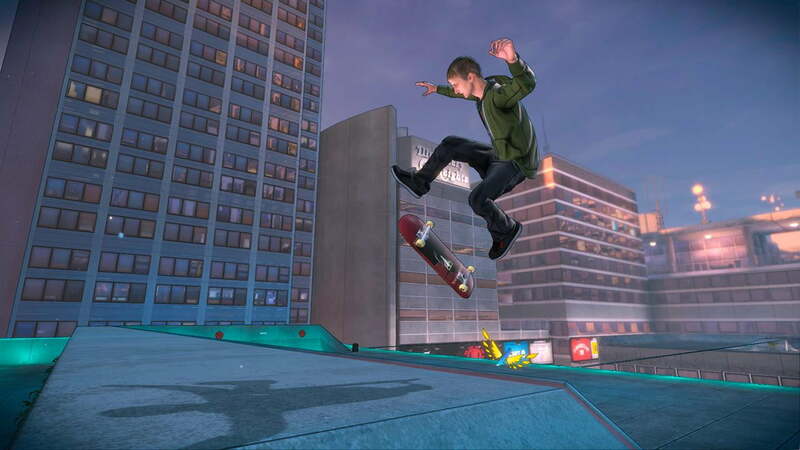 Tony Hawk’s Pro Skater 5 aims to marry the series’ iconic gameplay with more modern touches like pushing off to gain speed and using the Special bar, once it’s full, whenever you like rather than immediately. A major focus of the new game is its multiplayer, which supports up to 20 people at a time. “Online multiplayer is where Tony Hawk’s Pro Skater 5 truly takes off, letting players drop in and out of ongoing online skate sessions with friends and challengers from around the world, it’s like a skatepark that never closes,” Robomodo president Josh Tsui wrote on the PlayStation Blog. This is, of course, assuming you’re playing on the PlayStation 4 or Xbox One. Unfortunately for those playing on last-gen systems, online multiplayer won’t be included in the PlayStation 3 and Xbox One versions of the game. Tony Hawk’s Pro Skater 5 is set to be released on September 29 for the PlayStation 4 and Xbox One, while PlayStation 3 and Xbox 360 owners get the game on November 10.